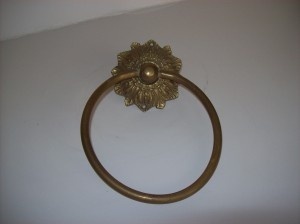 This brass Art Nouveau towel ring, made by the famous Glo-Mar Art Works, Inc., will be an elegant addition to any bathroom. 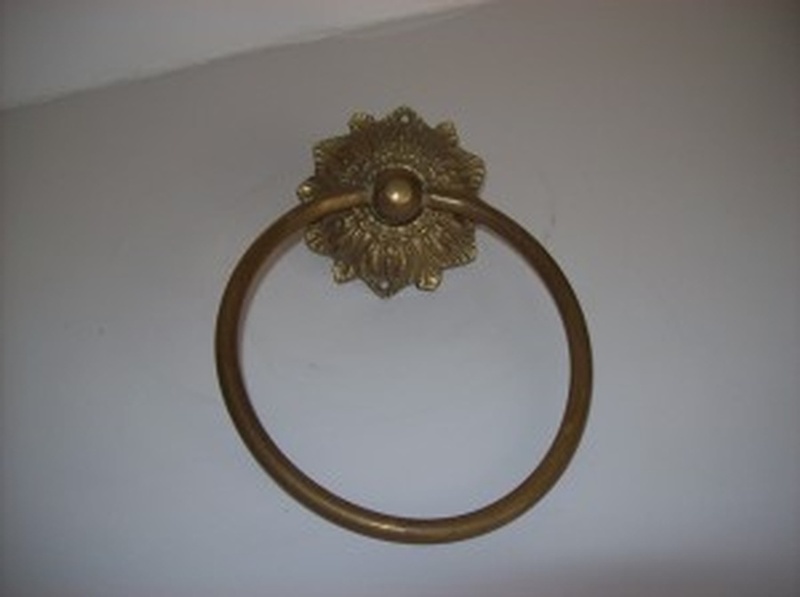 This piece has a bit of verdigris on the face of the wall bracket and where the ring meets it, the lacquer finish is irregular but there is no flaking. The age and patina on this piece are very attractive and add character to an already decorative item.